ST. THOMAS, ON – Railway City Brewing has announced the release of a new seasonal brew later this week, as well as the return of the Thursday Night Session tasting event series. The aroma is predominantly caramel that hits hard initially leading the way for toasted and baked scents reminiscent of raspberry muffins, ending with earth and herbal notes from the hops and rhubarb: a backwards trip from oven to field. The flavour opens with a splash of sweet and tart moving into caramel and burnt sugar. Rich and full body marries harmoniously with the tartness of the rhubarb making a smooth and silky mouth feel. Finishing finds the raspberry coming initially as jam but building to ripe fruit with a gentle warming as the pint goes on. 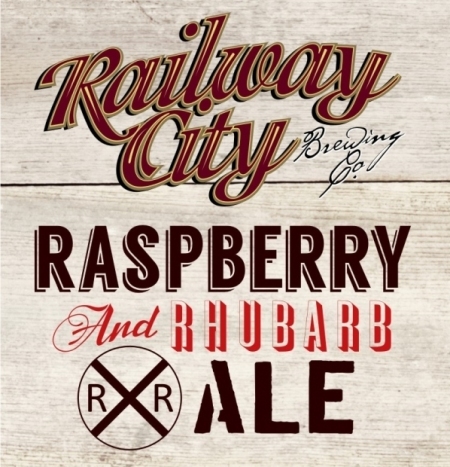 Raspberry & Rhubarb Ale will be debuted this Thursday August 22nd at the first Thursday Night Session to be held at Railway City’s recently opened new facility at 168 Curtis Street in St. Thomas. Several other Railway City beers will also be sampled, and the evening will include a tour of the new brewery. Those interested in attending can email info@railwaycitybrewing.com to reserve a spot.